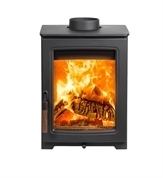 The London Fireplaces is a HETAS and Gas Safe Registered company. We provide an extensive range of services across London. Our dedicated engineers have worked on many varied and high profile projects across the UK. With combined experience of over 25 years, our staff are fully able to deal with any enquiry and we aim to meet your individual requirements, whatever they may be. We take pride in the knowledge that, we endeavor to provide our customers with the highest standard of service available. We are able to carry out almost any fireplace related service, from a simple sweep or service to the design and completed installation of a fireplace designed specifically for your individual requirements. We treat all customers and projects with the same respect and value, and provide a high quality service to all the works we carry out. We specialize in custom made and designed fireplaces, and our consultants will be happy to work with you, to help meet your desires. 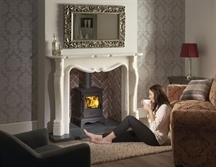 We understand that traditionally, the fireplace is the heart of any home and whether you love traditional or modern & contemporary, we will work with you, to make your new fireplace an outstanding feature in your home. 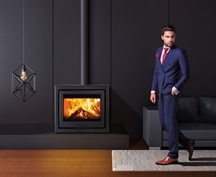 Warm up wintry evenings with a fireplace of your choice! Does a warm and elegant fireplace appeal to you? Do you yearn for one that is inviting and fashionable? Based out of our London showroom, The London Fireplaces is the ultimate brand name in building modern, contemporary, historical and traditional fireplaces, sometimes glass fronted or others chosen in style and chic! We work directly with our clients and our designers work on site choosing the fireplace of your need and desire! With an overall experience of 25 years, we can fully deal with your requirements whatever they may be. Fireplaces often help reshape the interiors of a home or even a room. We manage our own projects and work closely with our installation team. We design and discuss the project in details with our clients that are a satisfied lot. Based on the specifications, we provide an overview of the entire technical requirement and then carry out the installation project. Our design consultants are able to discuss the project in details and prepare designs that are feasible for your living room or even the bedroom. Our team discusses the entire requirement with you and basis that lay out the cost indications. You can also have a face-to- face consultation with our designers and then have us undertake a site survey. 1. 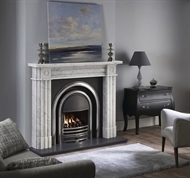 We help you build fireplaces that are very English and European in style and design. 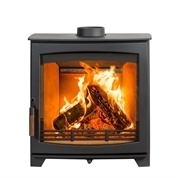 We are the Gas safe and HETAS approved retailer supply and install Gas, wood stoves and stone fireplaces. 2. 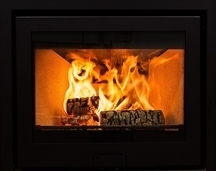 We offer bespoke fireplaces that fire up the imagination and also serve the purpose of heating effortlessly! 3. With your budget in mind, we do whatever it takes to build fireplaces in your range and affordability. 4. We are a company that supplies and installs fireplaces, chimney flue lining, gas and wood burning stoves along with designer fireplaces. 5. We have carried out work in various high profile projects. 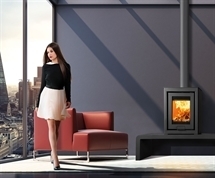 We install fireplaces that are the centre of attraction in any home and help make outstanding visions a reality. 6. 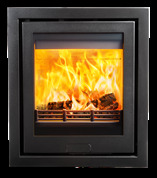 We are specialists in flue lining, multi-fuel stoves and gas fireplaces. We build traditional fireplaces with a contemporary twist. You can call in our specialists and they can design ideas that suit your style at pocket-friendly prices. We have a highly efficient workforce that advises you on the fireplace of your needs. They also carry out an expert survey before the installation. For expert aftercare service through our product warranties and the 1 year installation guarantee, simply get in touch!